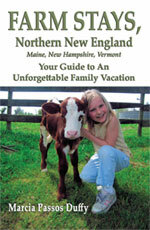 Click here for a FREE VERMONT Travel Brochure! queen size bed and fireplace and an adjoining room for children or an extra adult. includes a kitchen, living area, TV, washer/dryer and can sleep four. Barre, a 20 minute drive from the farm. have farmed on Hollister since 1983 (and were farmers 10 years before that). Hollister Hill Farm was one of the largest, most prosperous farms in the area. 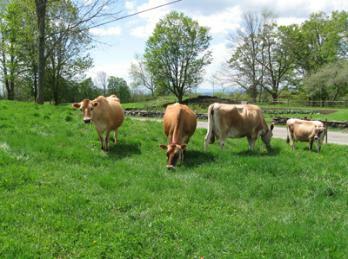 Through the years and various owners, the farm became predominantly a dairy. helping feed and care for the animals. Liked this profile? Buy the book!